Since I love geography, we'll be seeing the Challenge Team throughout the day based on their location in the United States from east to west! 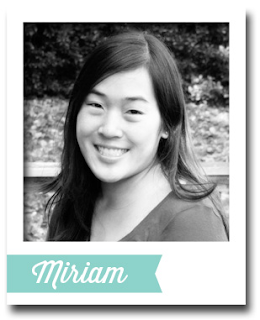 Say hello to Miriam Prantner who hails from the Washington, DC area. 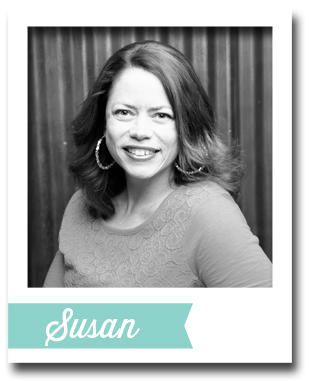 This is the second of nine posts on this blog today (every two hours from 4 am EDT to 8 pm EDT) where the MFT Challenge & Inspiration Team and our October Guest Designer (you'll get to meet her at 2 pm!) will share Christmas and holiday cards and tips. Take a look at Miriam's card! "The October release is full of holiday goodness, but it also has some great basics that can be used year round. 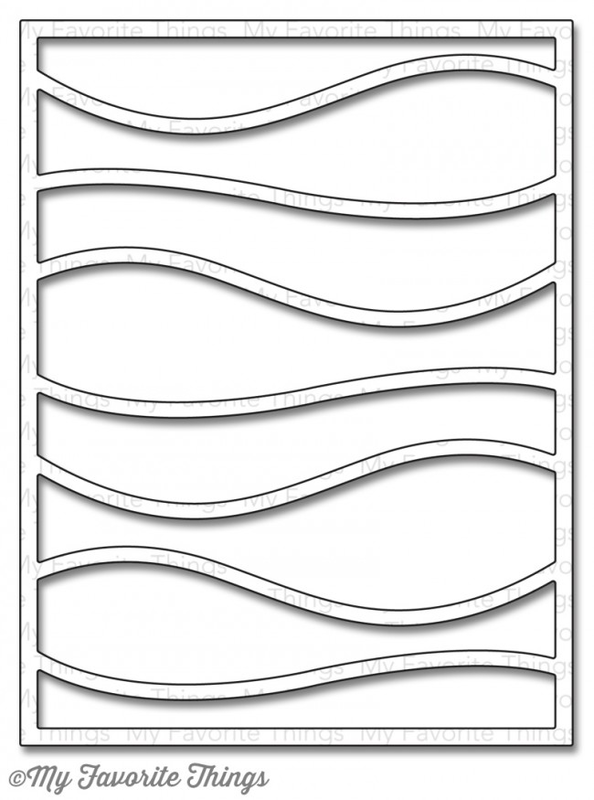 My favorite is the Stitched Arch STAX. It's just perfect for framing/spotlighting your focal point. I also love the Snow Drifts Cover-Up Die-namics. For this card I used some of the cuts from the Cover-Up to create the background of my scene. "One of my favorite sets released this year was Penguins in Paradise, and while the set definitely has a summery tropical theme, penguins are well suited for snow, too. For my card I used the penguin holding a cocktail, but fussy cut the penguin, removing the cocktail. Instead, he's holding up one of the ornaments from the new Santa's Elves set, and I added a few gifts from that set too. Finally, I finished the card off with a sentiment from the new Hand Lettered Holiday set. I just love that classic font!" Happy World Card Making Day from My Favorite Things! See you at 8 am EDT! Your penguin is super cuuuuuute! Maybe I will start my Christmas cards today! Wow, mind blown! lol Happy WCMD! Lovin' the dies used for this background. Perfection!!!! 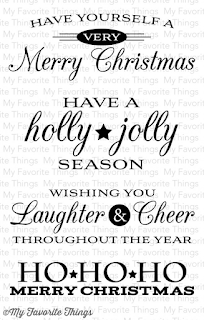 Christmas sentiments are the best! Love this time of year. The Penguins is one of my favorite stamps as well. 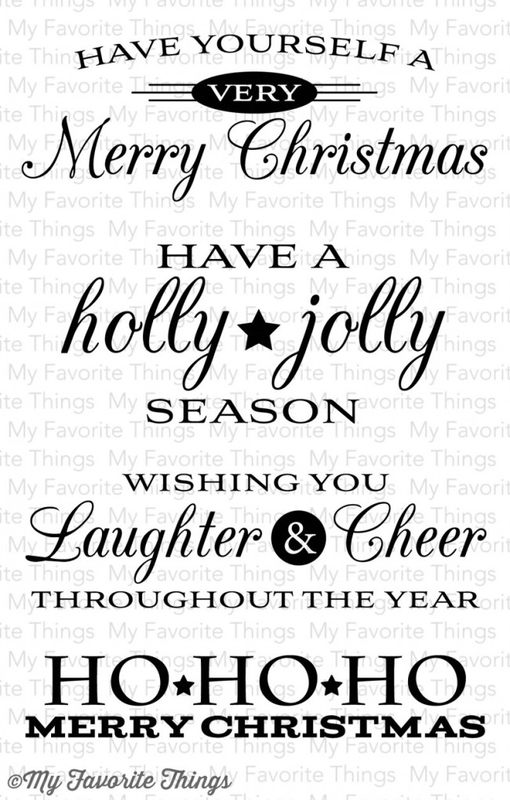 Since we have relocated to sunny FL from snowy OH, I love the idea of them on my Christmas cards. Would love this set. Awesome background. Love your card and I love the new stitched arches too - definitely on my must-have list. Happy cardmaking day. This card is so, so cute love it but that cover up die gotta have it!!!!!!! So thank you very much for the chance to win. Super sweet card! Love it!! Super cute! I really like the font of the sentiment! Well, this one by MP is cleverly fantastic! Naturally. :) just love the penguin goodness and these dies. So cute all together. Yay for holiday product that can be used year round! Adorable! Love the new cover up. Love the snow drifts! It is now on my wish list. Happy World Card Making Day! I love your penguin card- it is so cute! The paradise penguins do Christmas... Love it! I have that set and will definitely try this! Happy WCMD! Love the simplicity of your card. Just darling!! How sweet is that penguin?! Your coloring is amazing. Beautiful card! Amazing card! I love that new die! Miriam's card is FABULOUS!! Love how she used the summer penguin and turned this into a holiday card, so creative!! Love the way it's used for the card and how simple it is, even with all the little details. Such s cute card!! Love your coloring of the penguins.. The penguins are so cute! I absolutely love the snow drifts die! I love, love your card. You did a great job! Thank you for sharing. Your penguin is so darn sweet!! I love your scene you created. Wonderful job!! Love that sweet little penguin! Adorable card! Miriam's penguin card is just adorable. 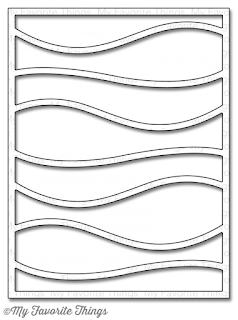 I love the stitched arch STAX, but be still my heart... the upcoming snow drift die, oh my!!!! Well done, Miriam! I love the creative layering and use of dies! You really show off the MFT products fabulously! Happy WCMD! Cute Pinguin and adorable card!! Awww he's a cutie. Love your card. Oh he's so cute!!!! Loveeeee your coloring and card! Such fun prizes! I love MFT and my CC statement proves it! That little penguin is so charming - I love him in that new stitched arch! Cuuuuute card! Cool new products! That penguin is just too cute!! Love the negative space too. Snow drift die is so much fun! Can never have enough Christmas goodies in my stash :) Thanks for the chance to win. The penguin is just so cute. Love the sentiments. Miriam he is the cutest - ever! Oh do those sentiments belong in my stash!!! Thank you! I love your cute little penguin scene... I can't wait to get my hands on the Stitched Arch STAX and the Hand Lettered Holiday stamps. That snow drifts cover up die is fantastic!! How genius to have him holding an ornament! LOVE it!!! Such a sweet card! great sentiment stamp and fabulous die! Love them all! Omg...So sweet card..Thanks for sharing and thanks for the inspairation..Thanks for the chance to win this amazing prize too.Happy World Card Making Day to you!! That penguin just melts my heart. Happy WCMD!!! Great prize too. Lovin' your crafty goodness! Great way to stretch your stamps! I love your layout and the new products too!! Love your idea and just love these penguins! I love this sweet, soft creation! The Arch Stax are definitely on my wishlist! Miriam comes up with the cutest ideas--love her card! I really "need" the new die & would give the wonderful stamp set I already own as a gift, so thank you for the chance to win! Such a cleaver idea, using the summery penguins with a holiday theme! And that scripty sentiment, love it! Absolutely adorable card with the penguin. I love how penguins can be used all year long! This little penguin is adorable! super fun and whimsical too! Cute card!! love the layout. Such a cute card from Miriam. What an adorable penguin!! And that new stamp set and die is definitely coming to my house!! Very cute little guy and love the sweet snowy scene. Oh fun! I love how you used the penguin in a Christmas scene. Love the new Snow Drifts die! Love this adorable little penguin Miriam. Adorable card!! I can think of a lot of ideas for that Snow Drifts Coverup die! How clever to mix it up! Your card is beautiful & I love those penguins. Very cute card. Yes, I agree it's really easy to match up MFT stamps/dies with other holiday celebrations other than the season of the set itself. Great tip. Love the penguins (so on trend) and the arch. Just love Miriam and I'm a huge fan of her designs. This card is such a sweetie and love how she changed the penguin to be holding the decoration. And I would LOVE to win that new wavy die!!!!!! Adorable card! Love the penquin! Love your card, Miriam ... Penguins in Paradise are one of my favs! The penguin is adorable and the prizes are awesome! Thanks! That little penguin guy is a cute!!! 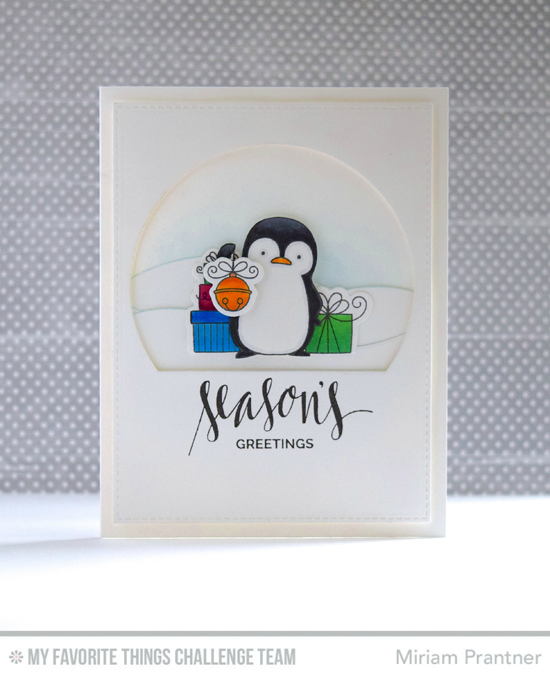 LOVE that new arch die and how you used the penguin from a summer set to create a completely holiday card! Such a sweet card, and who doesn't love penguins! 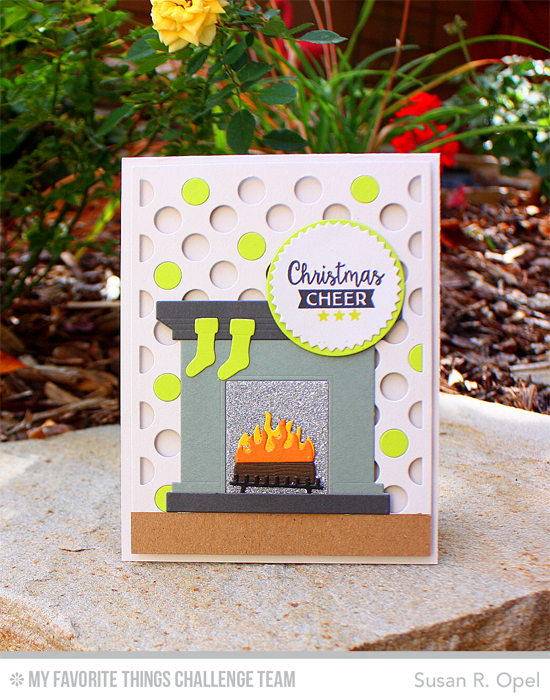 Love how you showed how you can pair up the stamps set to create whatever you want! This little penguin is do cute with all his presents! I am IN LOVE with that cover-up plate! So awesome!! I love how you made such a fun clean-and-simple card. Let that little cute penguin shine! Super fun card! Penguins stamp set is always irresistible! Sweet!! What a cute card!! My daughter loves penguins and she would love this card. Miriam, I just love your little penguin! Your use of color is awesome! Would love love love to win that cover-up ... what a sweet little card. I like the dies you used on this cute card. Such a cute card, I love it!!! How cute is that penguin card! Your penguin is so adorable! I love how you swapped out the drink for the ornament...very clever and cute! Miriam your card is amazing! The penguin is so cute!! Great giveaway!! OMG, this is so adorable! Love that card. This is so adorable, Miriam! Seriously cute little scene, Miriam! That little peekaboo penguin is simply adorable! Awww such a sweet little penguin and I'm LOVING the stitched arch, definitely one for my 'need' list! This is so cute, love the penguins (the favorite animal of my son!). They are perfect for a summercard and also for a christmascard. Penguins make every card cuter!!! This is just the sweetest card ever! Love all those layers - adorable!!!!!! This penguin is so stinking cute!!! Love the softly colored bg - it lets penguin and gifts really shine. So sweet! I love the penguins the are so cute!! Oh, this is such a sweet card from Miriam! I love it! The cover-up is so cool! Love the cover up. There are so many possibilities to use it. Love your penguins, too. Love the Penguins! Also love the cover up plate! Love your card! It is so precious! Anyone would be lucky to receive this at Christmas! Thanks for sharing! What an awesome way to mix sets and create a whole new season for these cuties! Adorable. This is so lovely card, Miriam! I love the penguin holding the Christmas ornament. Such a cute one. this card is so cute! love the color, die and sentiment. Cute, cute, cute! I love this! Miriam's cards are always so amazing and this one is too cute! I love that Snow Drift cover-up die! Such a cute card! I love the new snowdrift cover-up!